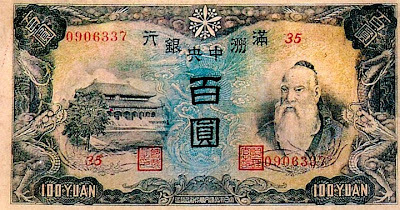 The earliest recorded use of paper money is in China around 800 AD, although the Chinese abandoned paper money in the mid fifteenth century. 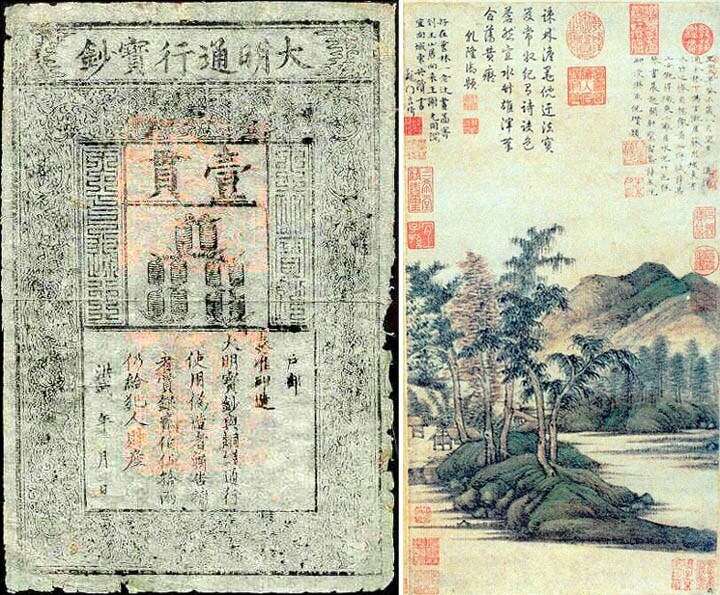 This Chinese Kuan note is the world’s oldest known banknote, from around 1380. 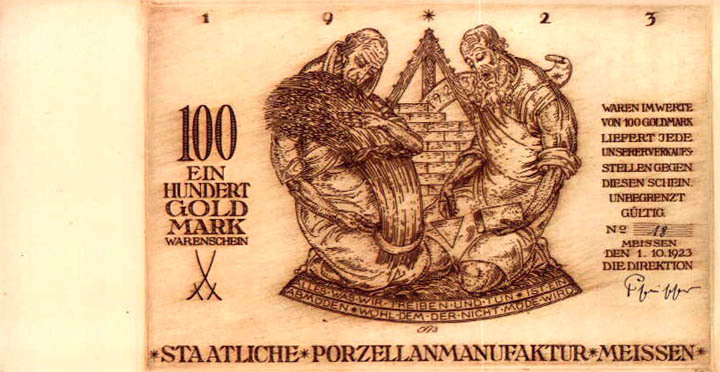 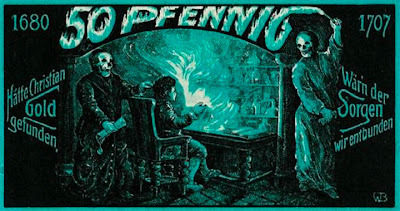 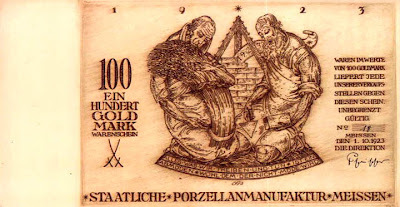 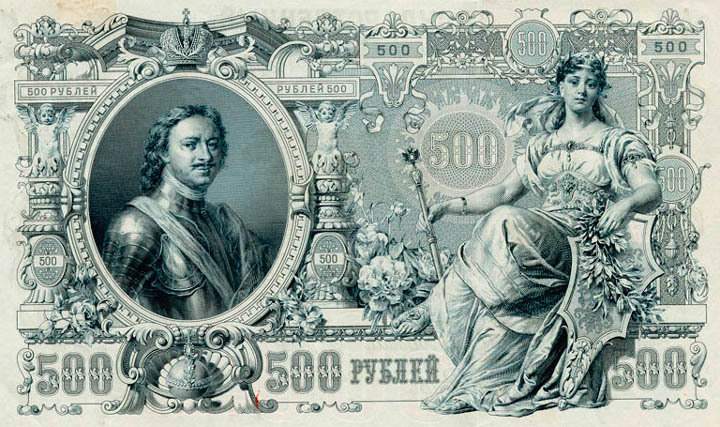 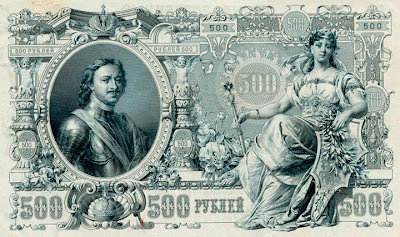 European paper money as we would recognize it today seems to have its origins in the seventeenth century. 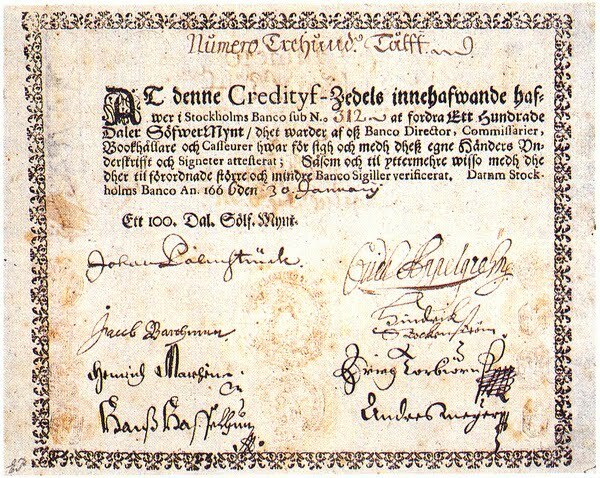 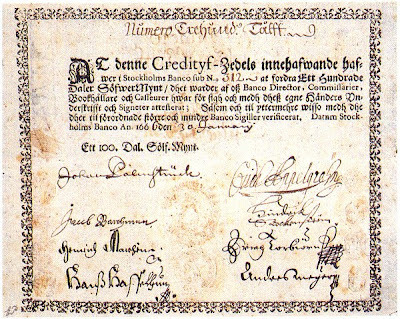 In 1633, English goldsmith certificates were being used as receipts for customers to reclaim deposits, and also as evidence of someone’s ability to pay. 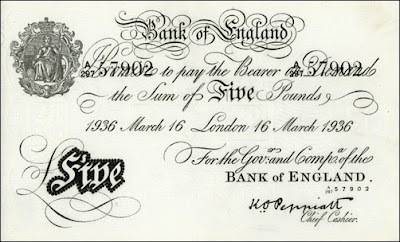 By 1660, these receipts were recognized as a convenient alternative to handling coins or bullion, a forerunner perhaps of the banknote in England. 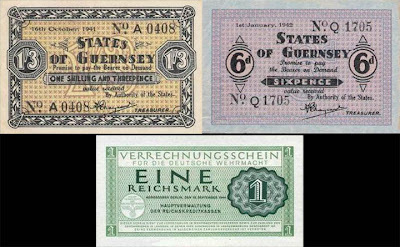 In the UK, the Bank of England has been issuing banknotes since 1694, but didn’t have a legal monopoly until 1921. 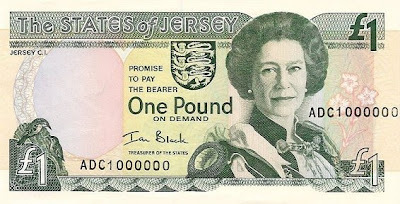 Decimal currency was introduced in the UK on February 15, 1971. 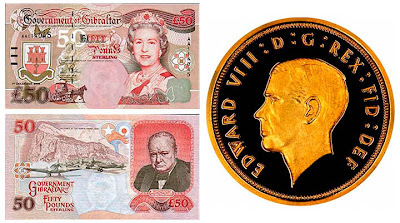 The fifty pence coin, one of the first new ones issued, is very familiar to the people of Britain since its introduction almost four decades ago, but still seems odd to the outsider with its heptagonal shape (below, left). 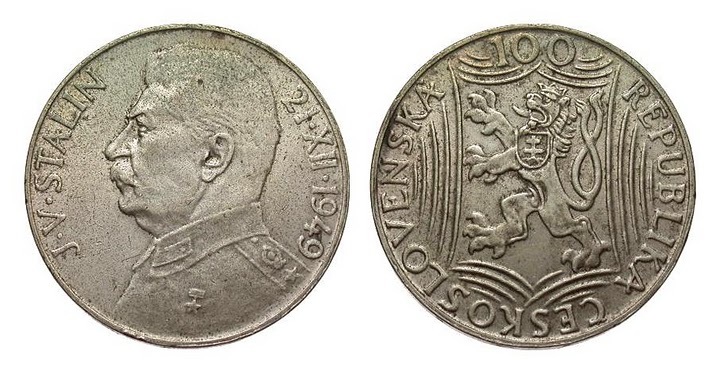 The British public, however, had seen a multi-sided coin before. 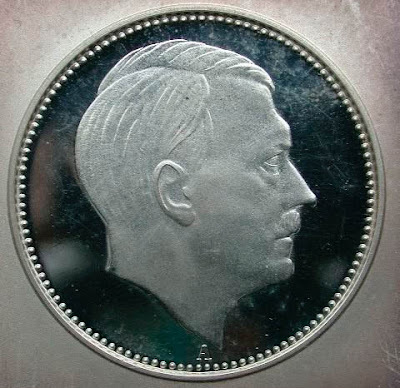 The threepenny bit was introduced in the mid-thirties, although a threepenny coin had been minted in silver since 1547. 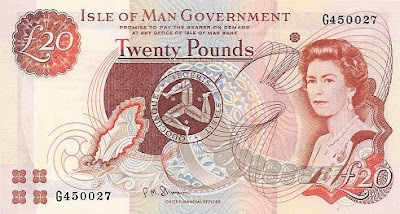 The twelve-sided version would remain in circulation until 1970 (above, middle). 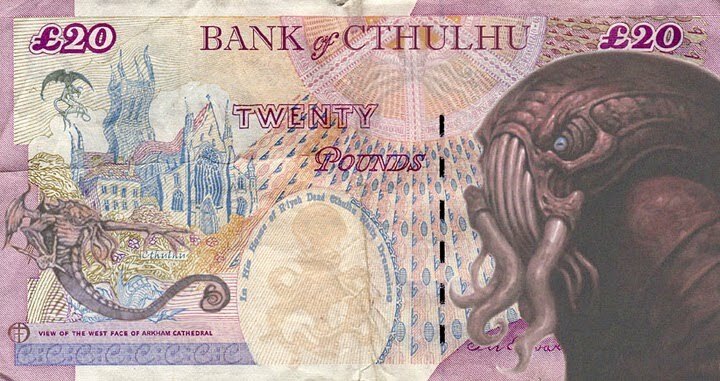 However, the new decimal system wasn’t without its oddities. The half penny coin enjoyed a surprisingly long and increasingly pointless existence, before it was withdrawn from the monetary system in 1984 (above, right). 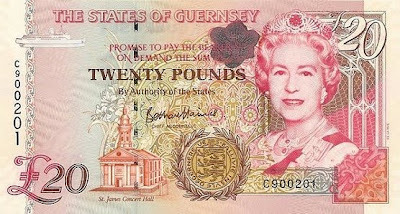 The Channel Islands and the Isle of Man are somewhat confusingly possessions of the British Crown, but not part of the UK. 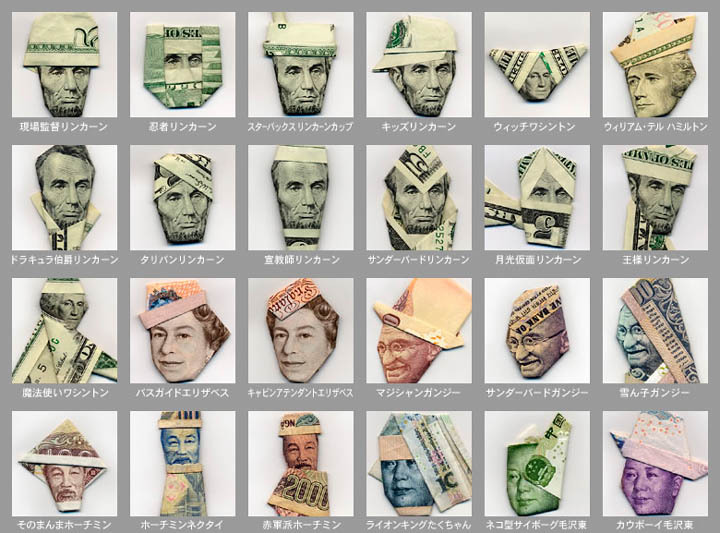 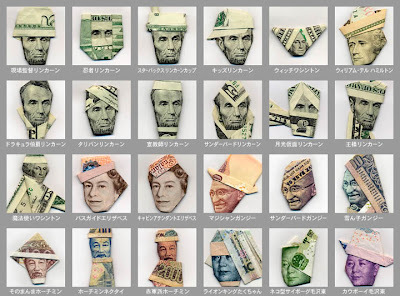 Consequently, although they have currency unions with London, they each issue their own banknotes. 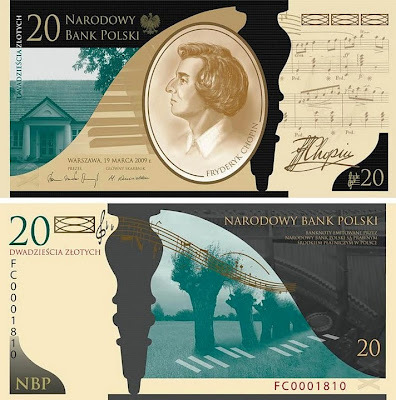 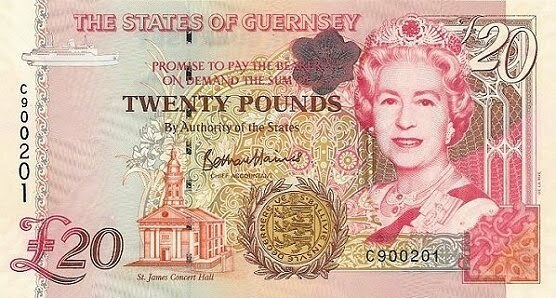 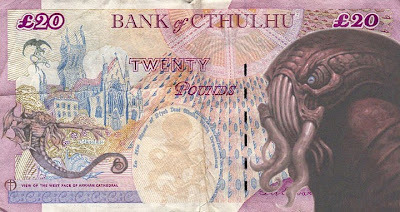 However, unlike Scotland and Northern Ireland, these notes cannot be used in the UK. 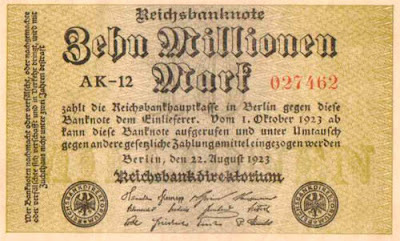 Zimbabwe is not the first country to experience such hyperinflation, of course. 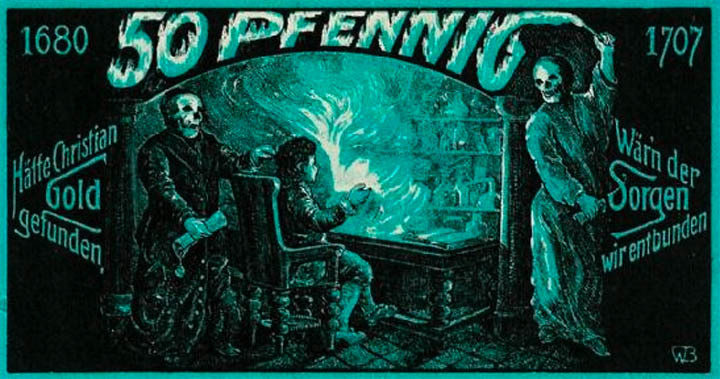 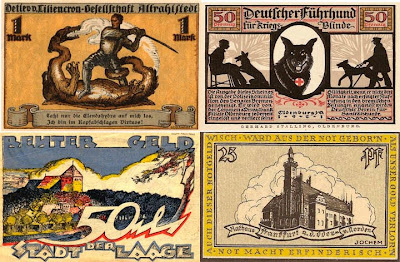 After the First World War, Germany endured a severe economic crisis. In 1914, the highest denomination German note was for 1000 Mark, which was worth approximately 238 US dollars or 50 British pounds. 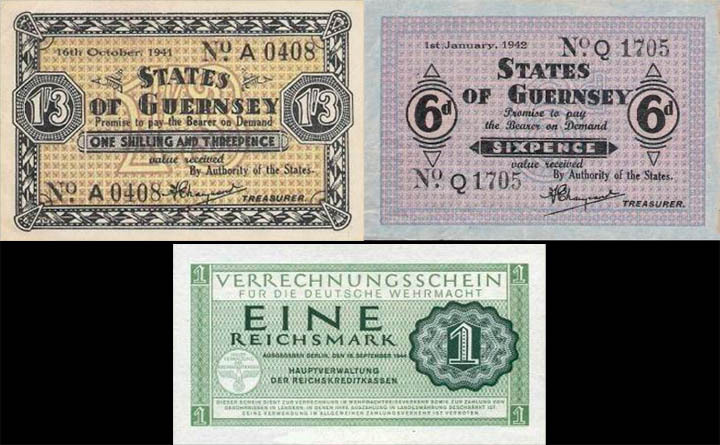 In early 1922, the government issued 10,000 Mark notes, but by February 1923, Germans were using banknotes in denominations of 100,000 and 1 million Marks. 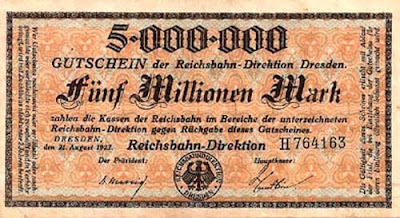 Notes reached 50 million in July, 10 billion in September and 100 trillion when hyperinflation peaked in October 1923. Just to give you an idea of what this meant for the average German, on November 1 1923, you could buy a loaf of bread for a measly three billion or truly splash out and get three pounds of meat for 100 billion. 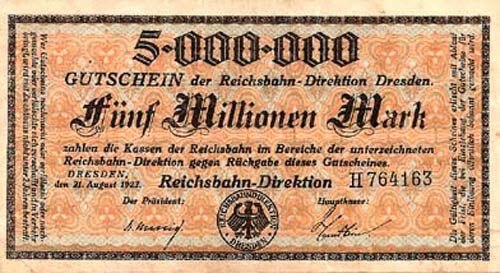 By November 15, 100 billion would get you two glasses of beer, not really enough to make you forget your troubles, while that loaf would now cost you 80 billion. 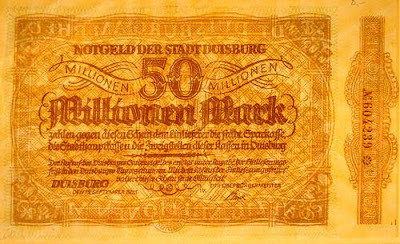 When it was all over, these huge banknotes were worth around 5 pounds or 24 US dollars. 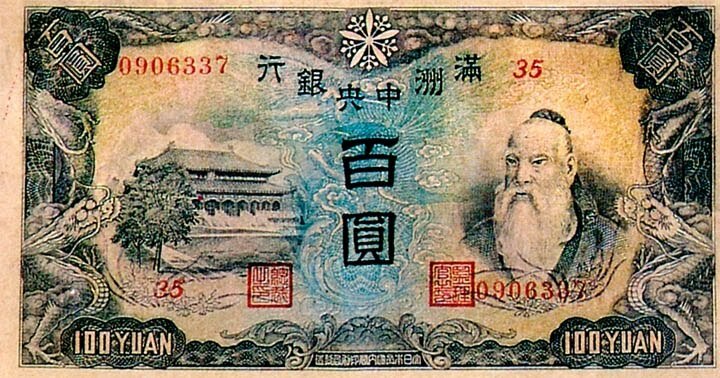 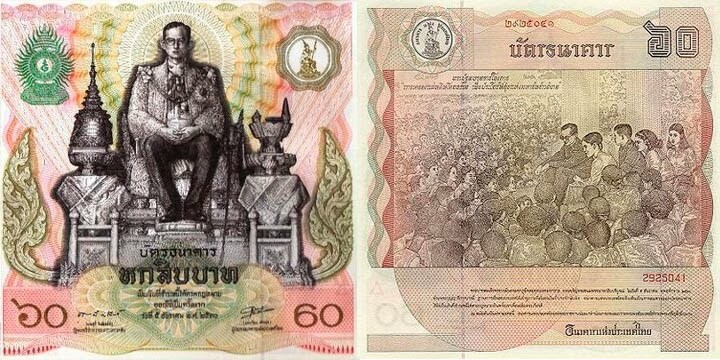 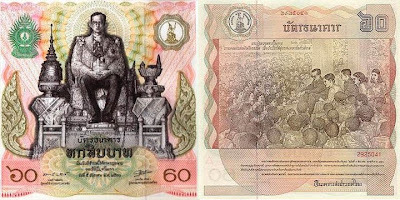 On November 15, the government introduced a new currency, one unit of which was worth a trillion of the old Marks. 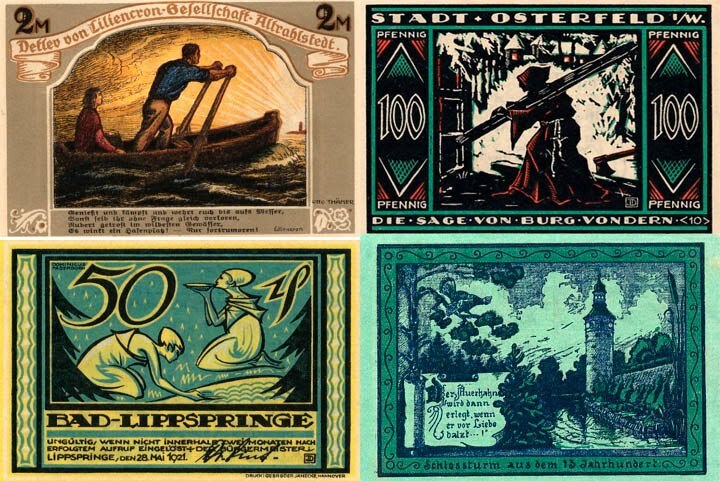 Prices eventually stabilized, but most of the population had nevertheless seen their wealth vanish.